Ricky Hatton returned to the ring against Juan Lazcano in May of this year, looking to get his career back on track. After starting 2008 with a knockout loss to pound for pound king Floyd Mayweather, some people were really questioning Hatton's abilities to fight at the top again. 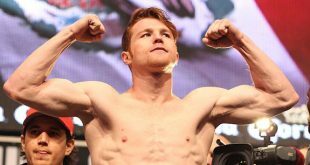 With constant criticism about Hatton's weight and him having to loose over two stone [28 lb] per fight, people were questioning if he would have the stamina to carry on fighting in the future. The simple response by Hatton was very funny; he came into the ring wearing a fat suit for his homecoming fight with Lazcano. Ricky claimed he didn't put on as much weight in this fight and really did work hard on his build up to the contest. Coming off a first defeat in a career is very hard to take and it can mentally affect some fighters. But did it affect the hitman? No it didn't. In my opinion, Hatton won every single round and put on a performance similar to one against Ray Oliveira. The stamina issue was answered, Hatton boxed 12 solid rounds and didn't look as if he was tiring. Post Kotsya Tszyu fights showed that Hatton would be "hugging" to get back some energy, but not in the Lazcano fight. Hatton admitted that he was very nervous before the fight due to the fact it was at his home city of Manchester and he had just lost to the best in the business. But I do feel it was a very solid comeback for the Hitman and he can now concentrate on fighting the best at 140 pounds. Hatton's next fight is against Paulio Malignaggi, 25-1, in Las Vegas this coming November. Malignaggi has been working for a high profile fight ever since his first defeat to Miguel Cotto back in 2006. After the Cotto fight, Malignaggi looked excellent in his outings with Edner Cherry and Lovemore N'dou. He really was on track to getting his record back and showing that he was a top contender for the 140 pound weight class. But his last two outings have been questionable. Two very close fights with Herman Ngoudjo and the rematch with N'dou left Malignaggi lucky to still have his belt. The Ngoudjo fight, some people claim, was a robbery and maybe in the future Paulie should tie things up with him because there was controversy with the scoring of that fight. In the rematch with N'dou, I felt as if Malignaggi took him too lightly because of the one sided beating he gave him in the first fight. Malignaggi even had to get a mid-fight hair cut, in ways I believe it was disrespectful to N'dou because he's a very respectable fighter. The build up for the Hatton fight started before the second N'dou fight and it showed in Malignaggi's rematch with N'dou. Champions should know to never overlook an opponent, Paulie nearly lost that fight and that really would have been bad for his reputation and for the future of the Ricky Hatton showdown. Although Malignaggi's last two fights were below par, he still got the win for the Hatton fight to carry on. I believe that Malignaggi was lacking motivation, because the Malignaggi that fought Miguel Cotto gave Cotto all sorts of problems and that Paulie wasn't there against Ngoudjo or in the N'dou rematch. But I have faith that the real "Magic Man" will be back for the Hatton fight. He knows that this is really his chance to be the best in the weight class and show that he has only lost to a truly great fighter in Cotto. I believe that Malignaggi really does need to improve if he wants to beat the Hitman. If he turns up with a negative attitude like the second N'dou fight, he won't make it past the first four rounds. If the truly talented fighter who I have witnessed on many occasions turns up, I really do have high hopes for this fight. Hatton knows that this fight is everything and if he loses now, he really will have to question carrying on in his career. He is not underestimating Malignaggi in the slightest because he knows how much trouble Paulie can give a fighter. Malignaggi, along with Timothy Bradley, 23-0, Kendall Holt, 24-2, and Andreas Kotelnik, 30-2, are the main belt holders of the 140 pound weight class. Hatton needs to only fight the best in this weight class and future match ups with any of these fighters will result in a very competitive match ups. Ricky wants to define himself as an unbeaten junior welterweight fighter and in doing that, he needs to face these men. But do recent victories in the 135 pound weight class make possible Hatton match ups more appealing than against the 140 weight class top men? Juan Manuel Marquez has just beaten Joel Casamayor for ring magazine lightweight belt. He is chasing Manny Pacquiao for a rematch and would go to all extremes to get it. With Pacquiao moving up to 147 pounds, maybe a fight Marquez at 140 pounds with Hatton would be a good match up? Marquez is one of Mexico's finest fighters and a match up with Hatton would be very exciting. It would also bring in good money for both fighters and who knows, it might happen in the future? Juan Diaz is another fighter coming off a good win, against Michael Katsidis, and he may move up to 140 pounds soon, too. A showdown with Hatton would be very entertaining in my eyes, both fighters styles are favourable for a knockout and both men have a good name; I know I would pay to watch that fight. 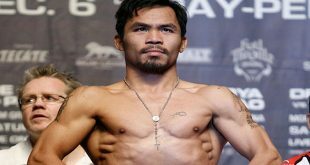 Manny Pacquiao, who is up against Oscar De La Hoya for his next fight, might be tempted for a Hatton showdown. If Pacquiao is beaten by Oscar, a Hatton match up at 140 would make sense in my eyes. Pacquiao, like Hatton, is a crowd pleaser and both men are very well known. They are also both eying that big payday and defining their legacies. Both men being champions in more than one weight class, it would be good for both of them to get their names on each others records. The fact that this match up would be very exciting suits the fans too. It's a fight that could be very likely to occur. Hatton knows that he was well out of his depth at 147; he barely beat Luiz Collazo and he was stopped by Floyd Mayweather Jr at the weight. 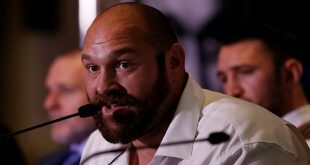 Hatton knows that he can't mix it with the physically bigger men and his bully tactics don't work as well as they do at 140 pounds. With Antonio Margarito beating Miguel Cotto in a very exciting match up this year, it's no lie that Hatton would struggle with the 147 pound elite fighters. Miguel Cotto bonded well to 147 and Hatton didn't, the difference being physical body size. 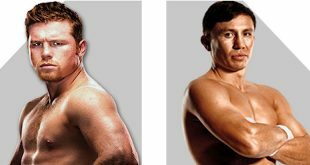 Although there are plenty of mouth watering match ups at 147 for Ricky Hatton, I feel he should keep away from the big men because Hatton can define his legacy at 140 where he belongs.